The many facets of the construction industry in Fort Worth and across the country involve different areas of expertise and a wide variety of products during the building process. In the area of plastics, the lower costs involved in their production through injection molding always get the attention of budget-conscious project managers. Part of the reason, besides cost savings, for the popularity of plastics is that such materials are stronger than costlier metals. Other reasons include the fact that these items help save energy, which again factors in economics, and are more easily recycled. Finally, the fact that they’re lightweight allow for a safer and easier building process. At Superior Plastics, we know that having these items available when construction companies need them allows for a smooth process. This allows our skilled Fort Worth staff to take advantage of our injection molding equipment to handle the production of such items. For example, piping is integral to any project, and is something that comes in thermoplastics like acrylonitrile butadiene styrene (ABS), polypropylene or polyethylene, among others. In the latter case, the cross-linked variety helps replace the more expensive copper tubing when it comes to areas of plumbing. Another important area comes in regard to insulation through the use of polyurethane, which can either be sprayed or be created as a foam. In either case, it helps keep out outside air, allowing for greater cost containment and a more consistent temperature. From a safety standpoint, it also keeps out chemicals and flames. Getting the most out of a floor means reducing the everyday wear and tear and being able to clean it without much trouble. If it helps keep things a little quieter, that makes it even better, and is something that’s possible through Superior Plastics. That’s because we can produce polyethylene or polyvinyl chloride (PVC) flooring to get the job done. Using polystyrene to construct a wall board is a standard and quick process that leads to a durable product that can be cleaned much more easily and provides good support to areas like columns. Making glass shatter-proof is a safety feature that is reassuring, but by being able to make it with plastics like polycarbonate, the chance to cut energy bills is possible. That’s possible due to the reduction in thermal units that results. 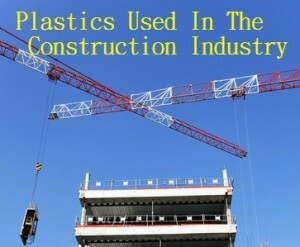 Reducing the need to replace such a vulnerable area can be a big selling point, which is why injection molding creations are so sought after in construction. That’s because the polyurethane foam that’s also part of insulation combines with thermoplastic olefin to offer a light-colored roof that saves on energy. With Superior Plastics, companies in Fort Worth and beyond know that they can trust us to produce what they need at a fair price and on time. To see what we can offer, contact us online today.